The HMS library now has some eBooks. 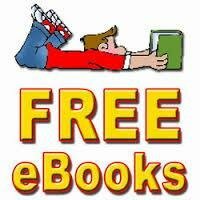 Check out the link to our "Atriuum" program on the right-hand side of the website and you can check out one of our 27 new eBooks right from your computer, smart phone or other device with internet service! You can also check out the eBooks using the "Atriuum on the Go" app. Directions for installing and setting up the app are listed under our "Latest News" section of the website. Please see Mrs. Tew if you have any questions or problems with the app or the eBooks! Enjoy Reading!